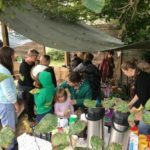 Creating a community building and café to provide more volunteering, education, wellbeing and employability programmes, and run more community events. Over 400 local volunteers donate time, materials, equipment and money to the project. To show their support, local businesses provide discounts to volunteers, on everything from coffee and cake to clothing and cinema tickets. 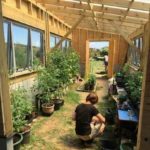 The orchard provides a community growing space for schools and people with mental health issues. And they have indoor and outdoor learning spaces to teach local people about food growing and run environmental workshops. 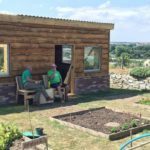 Newquay Community Orchard runs a programme called Living Well to Work, which supports people suffering from depression, anxiety and stress into employment. Best known for summer holidays and surfing, the town of Newquay is actually one of the most deprived areas of the UK, with high unemployment and low skills contributing to poor mental health conditions of local people. In 2014, a group of Newquay residents formed Urban Biodiversity CIC with the aim of creating a community orchard to tackle these issues. 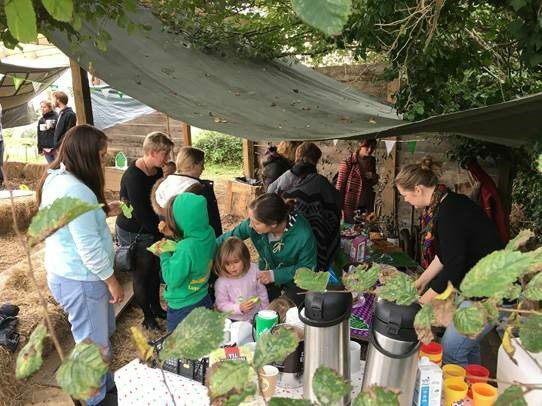 Following six months of consultation with residents, community groups, schools, health centres and local businesses, Newquay Community Orchard was born as five-acre community space. A crowdfunding campaign was launched and raised over double the £30k target, and volunteers contributed over 20,000 hours to developing the seven acre site. Now the site boasts 5 acres of traditional Cornish orchard made up of 120 apple trees, a 1.5-acre Victorian style kitchen garden for growing fruit and vegetables, a bustling meadow which is home to over 50 different species of grasses and wildflowers, and two native woodland areas. The team offer mental health therapy and employment skills training, meeting two of the biggest needs in the area. They also provide inclusive volunteering opportunities for people who have a disability, experience social isolation or are unemployed. The whole orchard site is also open for the community to enjoy in their everyday lives, either for walking the dog, having a picnic or just watching the world go by. 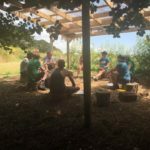 Newquay Community Orchard generate income by delivering contracts like Food for Change, which teaches unemployed people about growing, cooking and trading food, and the Practical Outdoor Internship, which trains people in sustainable landscaping and outdoor skills. They also provide learning opportunities for all ages in permaculture, sustainability, organic growing and ecology. 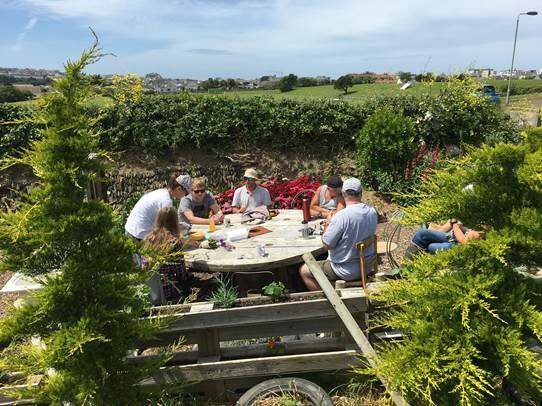 Power to Change awarded Newquay Community Orchard a £252,000 grant through the Community Business Fund to construct a community building which will house office space, function space, a classroom, drop in facilities, support services and a community café. This building will significantly increase the team’s capacity, enabling them to increase their service delivery days from 3 days a week to 7 days a week, and provide a range of educational and outdoor activities for local schools. It will set them up to achieve their aim of becoming an established community hub, venue, and research and demonstration site of environmentally conscious and sustainable lifestyles. Their large network of volunteers has a big say in how the business is run. In monthly meetings, volunteers discuss everything from programme design to operational matters, and their input shapes strategic decisions. For example, as part of the new community building project, volunteers convinced the management team to develop a café which could train local people, rather than the initial proposal of a restaurant. “We are delighted to have received support from Power to Change through their Community Business Fund”, said Luke Berkeley, Managing Director. “This vital funding will allow us to move towards realising the end vision for Newquay Community Orchard. The community building will will generate a range of income sources for the site, including shared work space, a pop-up community cafe, and wellbeing services. It has been 4 long years getting to this point, but thanks to this support and that of the whole community throughout the journey so far, we are tantalisingly close to realising a fantastic asset for Newquay and beyond”.